We love camping in and around the UK, but let’s be honest; the Great British weather isn’t always so great. On the wetter days of summer we love to use our time wisely, relaxing while enjoying retro board games from the 1980′s. 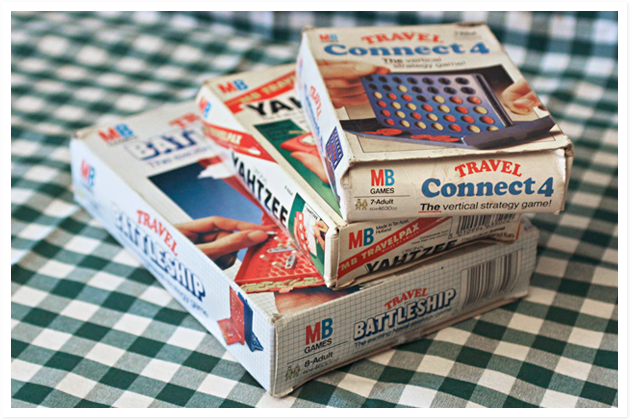 We always keep a couple of vintage MB travel games handy under the seat. Battleship, Yahtzee, Connect 4, Pass the Pigs, Cards and Dominoes. Fun for everyone. But beware, the competition can get intense.